Taylor Swift (born Taylor Alison Swift on 13 Dec 1989 in Wyomissing, Pennsylvania), American country pop singer, is the daughter of Scott and Andrea Swift. 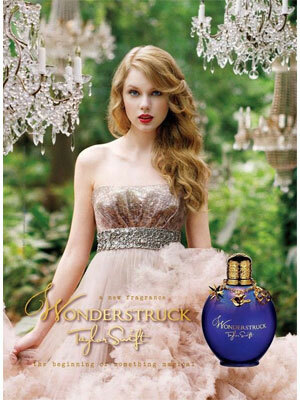 Taylor's singles include You Belong with Me, Love Story, and Our Song. 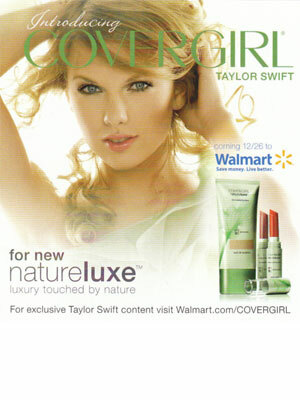 Taylor Swift appears in the 2009 ad campaign for LEI Jeans, and signed with CoverGirl in 2010 for their new NatureLuxe cosmetics. 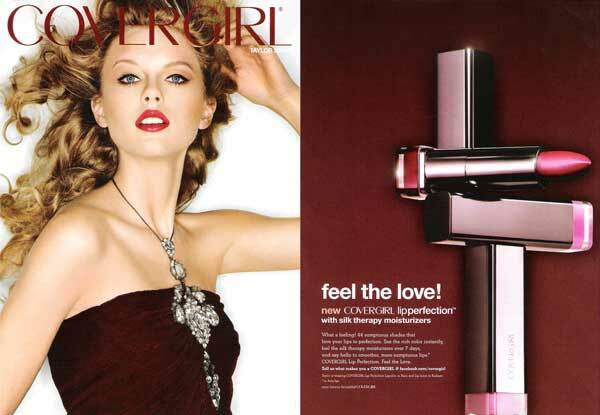 Taylor partnered with Elizabeth Arden in 2011 for her celebrity fragrances. 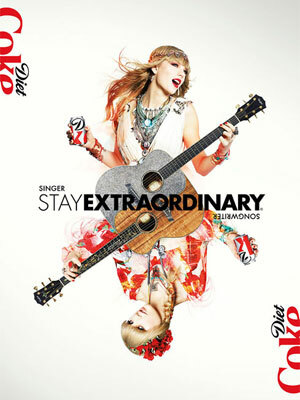 She partnered with Keds in 2013 and is the face of Diet Coke (2013). 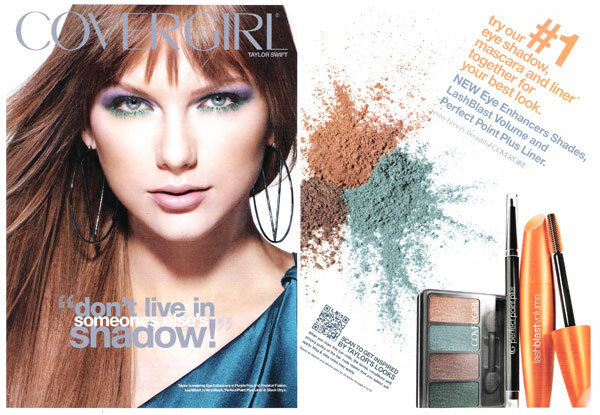 Check out Taylor Swift's Magazine Covers.